As noted in this blog. Dr. Brien Seeley, President of the CAFE Foundation, has been actively promoting the idea of a short to intermediate range Sky Taxi, a two-seat aerial vehicle that would carry its passengers safely from 420-foot runway “pocket airports” to other such runways at other urban and suburban settings, or even pockets situated within major airports. The safety and utility promised by these electrically-powered aircraft would provide convenient, inexpensive trips for commuters who would enjoy TSA-free travel up to 500 miles at point-to-point speeds exceeding even private LearJets. Noting the up to 19 pilots required for each aircraft in normal commercial use, DayJet’s CEO John Langford reduced this to four or five per aircraft, but still needed two pilots in each of its three-passenger Eclipse 500s. 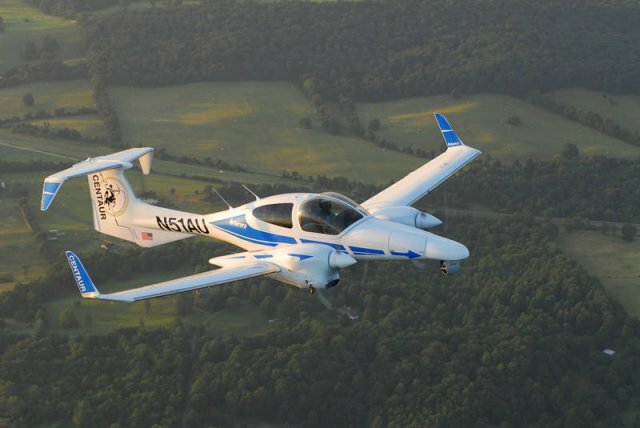 Aurora Flight Sciences has developed its Centaur version of the Diamond DA42 light twin, which with autonomous flight capabilities, can cut crew costs in half, to around 15 percent of operating expenses, Langford claims. He foresees a “Centaur II” in three to five years that would be capable of transporting cargo and/or passengers. It could be fully autonomous for cargo delivery, or require only one pilot to carry passengers. Referring to the 2011 Green Flight Challenge’s unqualified success, Warwick explains the proposed series of incremental challenges that would lead to the airplane’s of Dr. Seeley’s vision. “The series of annual prize challenges would develop and demonstrate technology for a quiet, electrically powered, extreme short-take-off-and-landing (ESTOL) two-seat aircraft able to operate autonomously and safely on short flights from small airfields close to users. “Beginning with competitions to develop electric wheel motors for taxiing and takeoff, and quiet propellers, the series would culminate in the demonstration of a quiet, autonomous ESTOL Sky Taxi, Seeley told the AIAA conference. “The air taxi would fit within the weight and performance limits for a two-seat light sport aircraft, with a stall speed of less than 32 mph. and top speed above 120 mph. A high lift-to-drag ratio wing would extend glide performance to improve safety. Langford’s vision is much the same as CAFE’s but even his excellent Diamond aircraft will not take off and land in the confines of a pocket airpark, and even the relatively quiet turbo-diesel powerplants will exceed the noise requirements for neighborliness. Another approach to personalized aviation comes from Stephane Fymat, who writes the newsletter for the Perlan Project and has founded Smartplane, Inc., a firm that would automate Light Sport Aircraft to make them safer to use and more intuitive to fly. Each SmartPlane flight would include flight planning with Smartflight, a Google Maps application, and Smartstar with weather services, and even a concierge service to meet the pilot’s needs at the chosen destination. 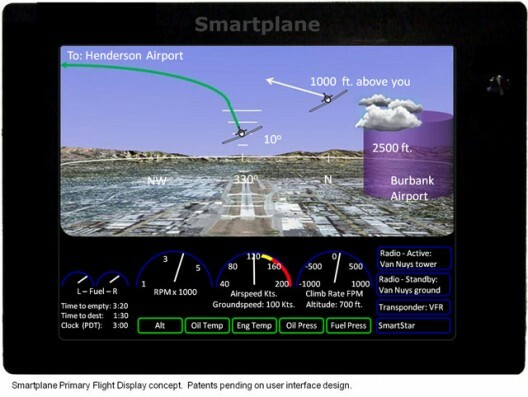 The pilot would face a simplified Smartpilot display, showing the immediately necessary things for the pilot to know. Fymat’s choices of available aircraft now are closer to CAFE’s vision, and may eventually come to match the pocket-sized concept. All of these approaches are steps along the way, and all are welcome to make personal aviation a safer, more fulfilling experience.